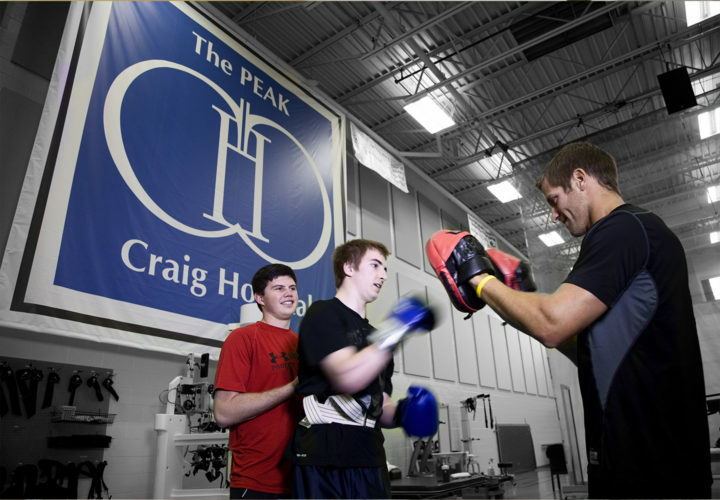 The PEAK Center at Craig—which stands for Performance, Exercise, Attitude, and Knowledge—serves individuals in the community with any type of neurologic condition through adaptive equipment, group classes and personal training. Maintaining the ability to stay fit and strong is such a vital part of maintaining one’s independence and quality of life for those with severe neurologic disabilities, yet it is not something insurance companies will cover on an ongoing basis. The Craig Hospital Foundation provides three-month PEAK Center at Craig scholarships to help individuals in the community who might not be able to afford a membership. The scholarships cover an initial personalized evaluation, orientation to equipment and general gym membership fee and are renewable if the recipient uses the PEAK Center at Craig frequently.